Sabah & Darragh had an amazing Pakistani/Irish celebration in Powerscourt Hotel Co.Wicklow. Their day was such fun to photograph and both Sabah and Darragh were a joy to be around. 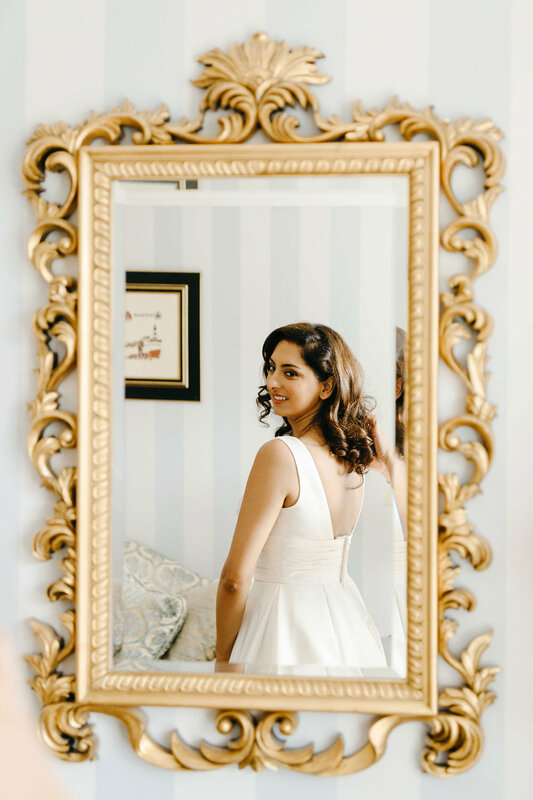 Sabah began her day in Powerscourt Hotel with her family and friends. Her make up was done by the uber talented Faye Miller. 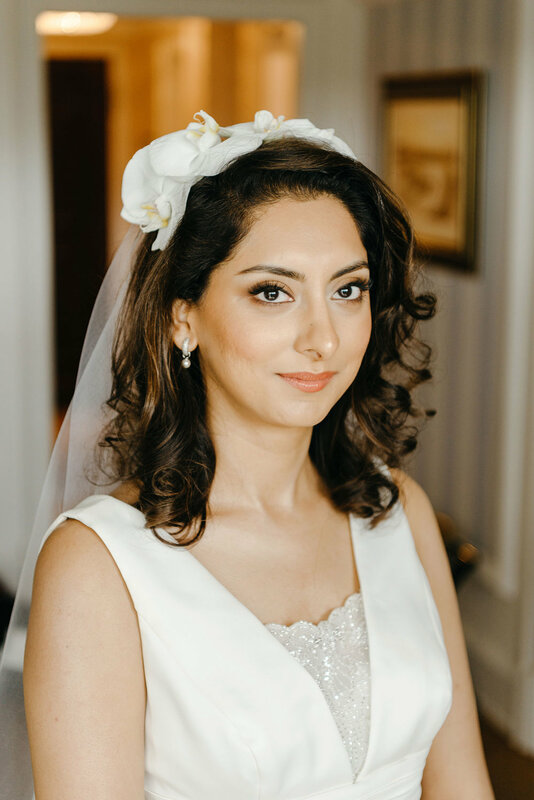 A very calm and relaxed bride, Sabah choose to do her own hair which turned out beautifully. 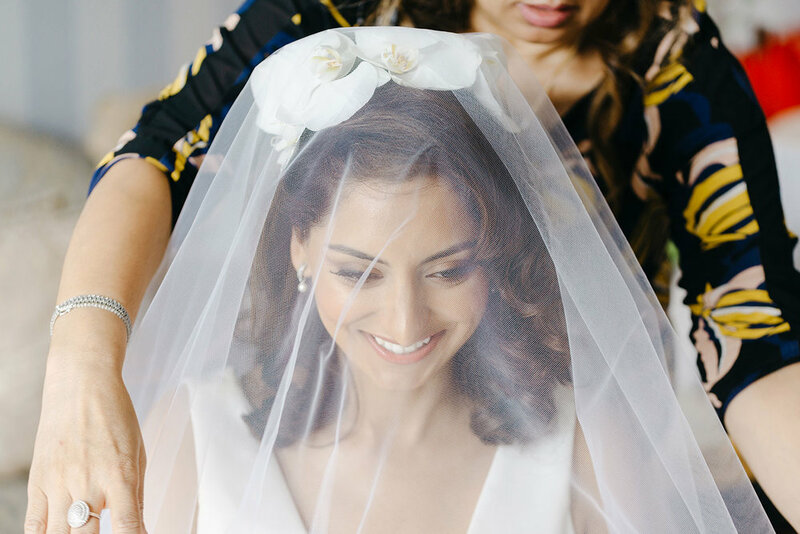 Her bridsmaids hair and Sabah’s veil setting was done by Razia Afzal from Bonton Salon. Her incredible wedding flowers were by Mimosa Flowers in Blackrock and of course the stunning Floral Arch. 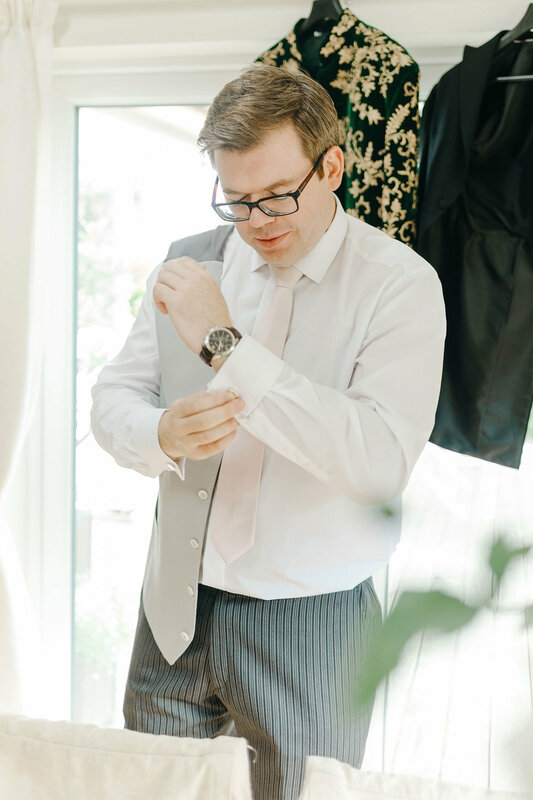 Darragh prepared for their ceremony in his family home in Greystones with his mother and father. He travelled to the ceremony in his father’s Citroen 2 CV which had been restored and beautifully kitted out. 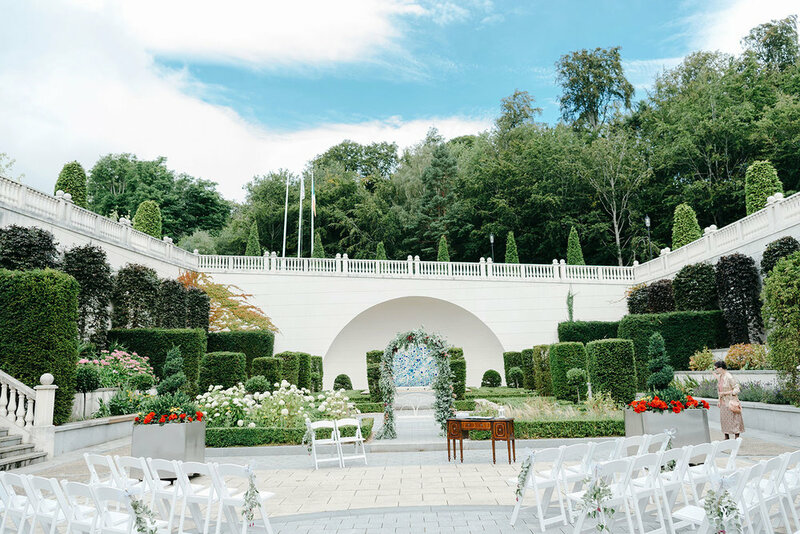 Their ceremony was a beauty to behold, set in Powerscourt Hotel’s outdoor sunken garden. Sabah made her way down one set of stone stairs to the centre whilst Darragh approached from the opposite side. 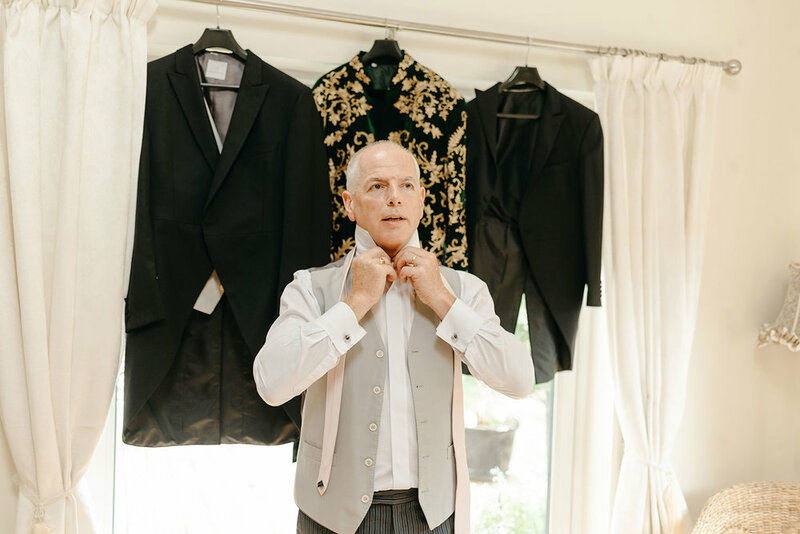 They said their vows and did their hand fasting ceremony beneath their stunning floral arch in front of their family and friends. After the ceremony we took some family photographs before driving the famous Citroen 2 CV to take some couple photographs in front of the sugarloaf. 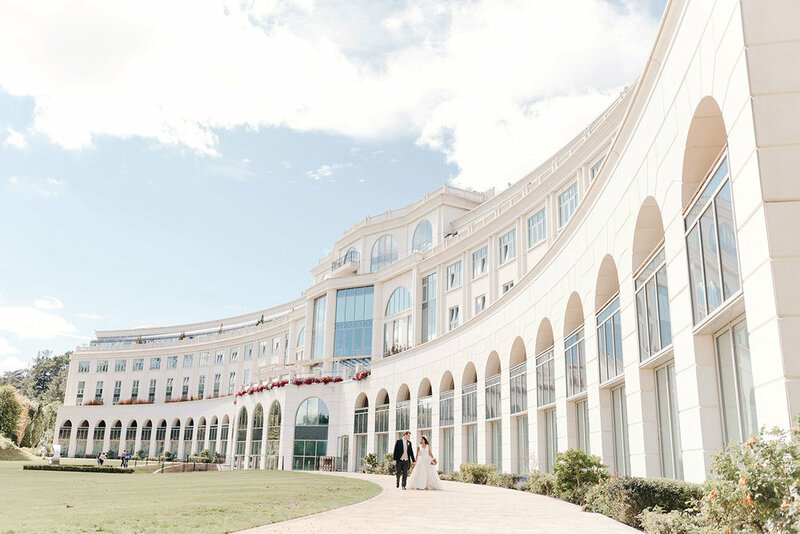 The grounds of Powerscourt Hotel are ideal for wedding photographs, as the weather was perfect we took our time strolling around the grounds before the couple entered the dining hall for dinner. During the dinner service Sabah and Darragh changed their clothes to more traditional Pakistani wedding attire. We ceased this opportunity to get a few more couple photographs to capture the wonderful colours as the sun began to set.